Busing is offered for students who live in District #88. Buses from the various routes will deliver our students to the transfer point at Jefferson School for the ride to MVL. District #88 buses will pick up our students at MVL and make the transfer at Jefferson School in the evening. Students are to wait in the foyer at Jefferson and are not to enter the hallways or classrooms. 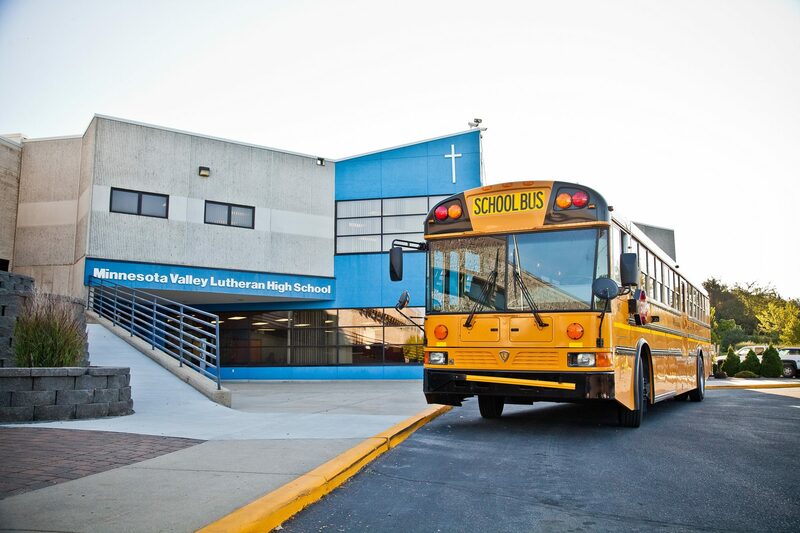 Students who live outside School District #88 and yet within a 30-mile radius of MVL will have transportation provided by the high school from a central, designated pick up point for each congregation. Students involved in interscholastic athletics will find their own transportation home after practice. Young athletes will be helped with carpooling if requested by parents. MVL encourages the use of school buses and vans for transportation to and from the school. Students licensed to drive motorized vehicles to and from school may do so. Operating a vehicle on school property in a manner that endangers the lives of the driver, passengers, pedestrians, and people in other vehicles will result in restrictions of driving privileges by the Dean of Students. Law enforcement may be notified and involved. Students are required to register their vehicles by registering their vehicle in their TADS account. If vehicles are replaced during the course of a school year, make sure to log in to your TADS account and make the changes. MVL is a closed campus, and, therefore, students are to remain on the campus until the end of the school day. Students may not leave the campus during the school day without prior written permission from the parents and notification to the Dean of Students. When MVL athletic teams travel to away games, team members are expected to ride transportation provided by MVL. An athlete may travel home from away games by parent’s signing them out or providing a written permission. In order for vehicles to efficiently and safely maneuver in our parking lot, all vehicles are expected to be properly parked during school hours. Vehicles are properly parked when they are within the yellow markings designated for parked vehicles. The Dean of Students will deal with those students who park improperly.